Drinks Is Languedoc The New Bordeaux Or Burgundy Of France? Is Languedoc The New Bordeaux Or Burgundy Of France? Freedom came with the introduction of the Vins de Pays category in the 1980s, which allowed producers more control over grape varietals and where to plant, outside of the French Appellation d’Origine Protégée (AOP) )—formerly Appellation d’Origine Contrôlée (AOC)—rules. To gain more perspective, we turned to Basile Guibert, the youngest son of Veronique and Aime Guibert of Mas de Daumas Gassac, one of the pioneering families of the “grower” style Languedoc which started in 1972. While based in Singapore as the company’s ambassador to Asia, he and his three brothers remain firm stewards of their fully organically farmed vineyards, some 52 small plots among 3,000 hectares of protected forest. But what if you’re a French winemaker who wishes to create something unique, that has a story or a style that goes beyond what an AOP label allows? Nouri’s sommelier Matthew Heng champions Languedoc wines, especially as they are aligned with the direction of Nouri’s beverage programme, which comprises 90 per cent organic, biodynamic and natural wines. “Most people come in expecting to try something different or new and are thus a bit more open-minded. There is engagement on our part to portray these wines in their best light,” he says, adding that Languedoc’s ancient history has safeguarded a number of interesting grape types not used elsewhere. “Languedoc is a region I love introducing to our customers,” echoes Anthony Charmetant, sommelier-owner at gastro winebar Ma Cuisine Singapore, an offshoot of the legendary Beaune original. “It is a good next step for wine lovers who typically start with Burgundy or Bordeaux, and perhaps move on to Rhone.” To him, Irishman Gavin Crisfield is the future of wine in this region. He practices controlled wine production, each varietal passing separately through concrete egg-shaped tanks, ‘tronconique’ French oak vats and oval foudre vats, resulting in a unique bottling that perfectly encapsulates the makeup of the newly created appellation of Terrasses de Larzac. 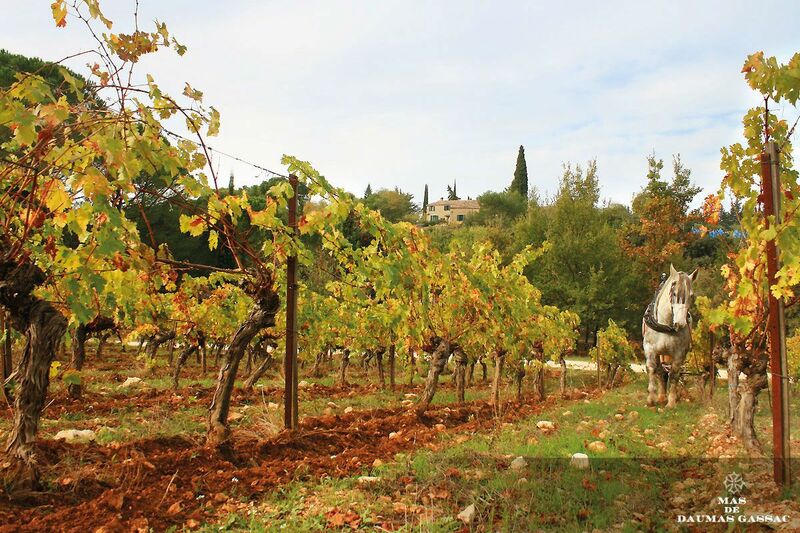 As Charmetant notes, “Winemakers have to master the Mediterranean climate of warm and dry environments, sun exposure, hot long summers and rainy winters to achieve wines with character.” However, cautions Boon Heng, Languedoc is still in the early days to be recognised as a high- quality region because it’s just so vast. “Hence, I wouldn’t call it “the new Bordeaux or Burgundy” but rather a unique region with exciting potential and good terroirs that are capable of age- worthy fine wines such as those made by Mas Daumas Gassac or Granges de Peres. Super price-quality ratio is what typifies Languedoc wines for me,” he concludes. Benedictine monks in Limoux made the first sparkling wine a century before Champagne’s Dom Pérignon. This example from Mauzac grapes is a crisp winner, spending one year on the lees after its second fermentation in. From Wein & Vin. of Carignan, Syrah and Grenache, expresses raspberry with wild herbs. From Vinum. Irish winemaker Gavin Crisfield is one to watch. This cuvée is an elegant blend of Cinsaut, Carignan, Syrah and Grenache, with notes of concentrated fruit, black pepper and cherry from an outstanding vintage. Exclusively at Ma Cuisine. Thirteenth Generation Grape Grower Didier Barral began estate bottling in 1993. This is mostly Carignan, with Grenache and Syrah. Intensely perfumed nose is reminiscent of black fruits and olives grown on property; palate is grippy and finishes with Asian spice and cocoa powder. Drink at Nouri. Considered one of the greatest vintages, this Cabernet Sauvignon- dominant blend explodes now with freshness and intensity of cassis and delicate spices but will cellar well another 40 years. From Vintage Wine Club.